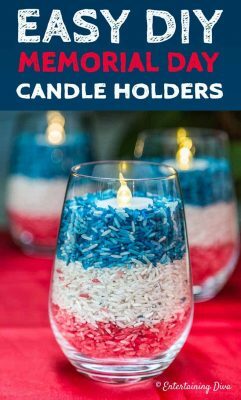 These easy DIY red, white and blue candle holders are a great project to make with your kids (or grandkids), and add some patriotic decor to your 4th of July or Memorial Day celebration. 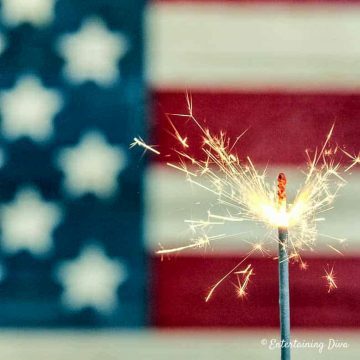 Every year I host a 4th of July party and I am always looking for simple DIY patriotic decorations that will add to the decor. 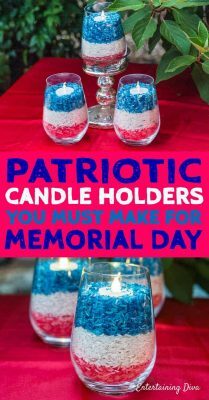 So when I saw these red, white and blue candle holders from Amy at She Wears Many Hats, I knew I had to try them. And they turned out to be just as easy as I was hoping they would be! Food color*. You don’t want the gel kind for this. 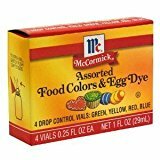 It seems like the old fashioned liquid food coloring is now referred to as “egg dye”. 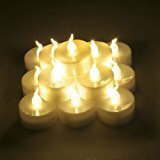 Flame-less candles*. These ones have a timer which turns them on at the same time every day, and turns off 6 hours later. This is very helpful when you are having a party since you don’t have to go around and turn them all on at the right time. 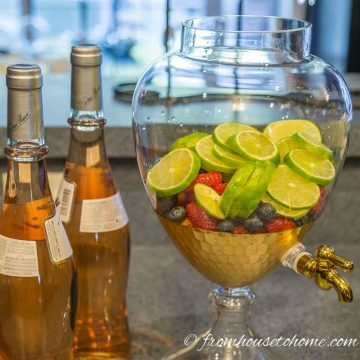 Stemless wineglasses* or mason jars. I like to use stemless wineglasses for candle holders because of their shape. 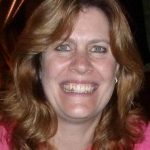 However, mason jars or any other kind of glass that you have on hand will work. 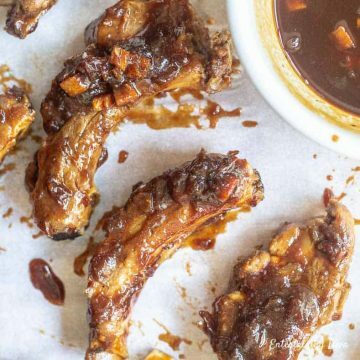 To make them, add about 2 cups of rice to a Ziploc bag. 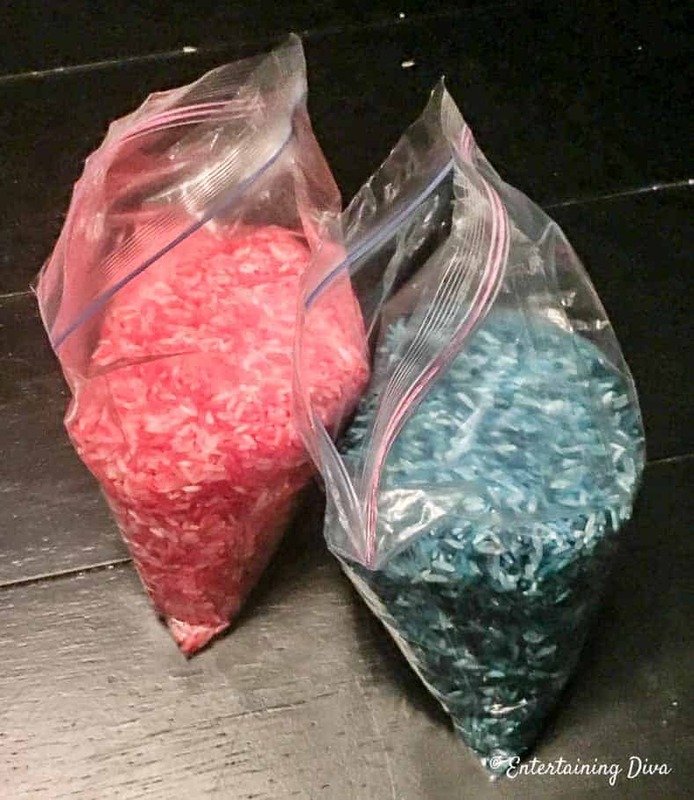 Then add about 20 drops of blue food coloring. 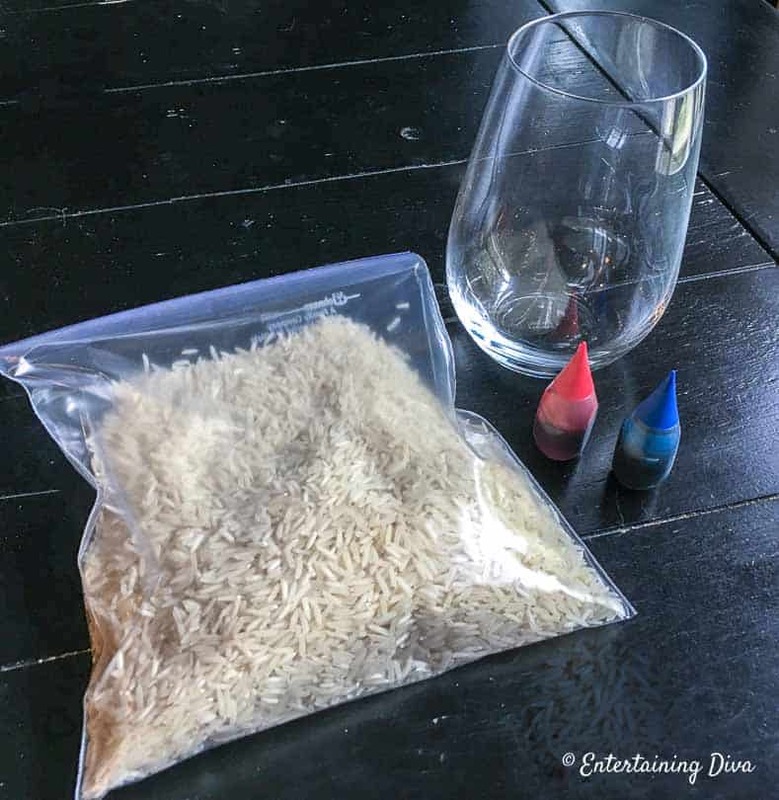 Close the bag and shake the rice until it is coated with the color. If you want the color to be darker, you can add a few more drops and shake it again. 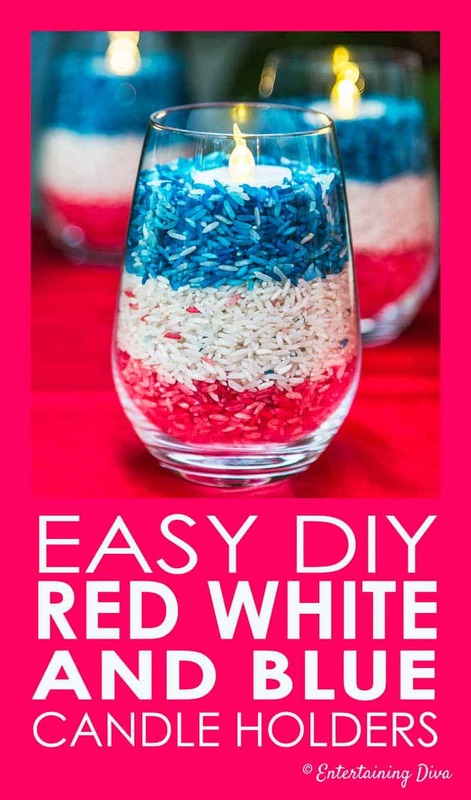 Then pour the rice in layers into a tall glass or mason jar. Add a candle and you’re done! I like to use flameless candles* since they’re less mess and have less possibility of starting a fire. See, how simple is that? 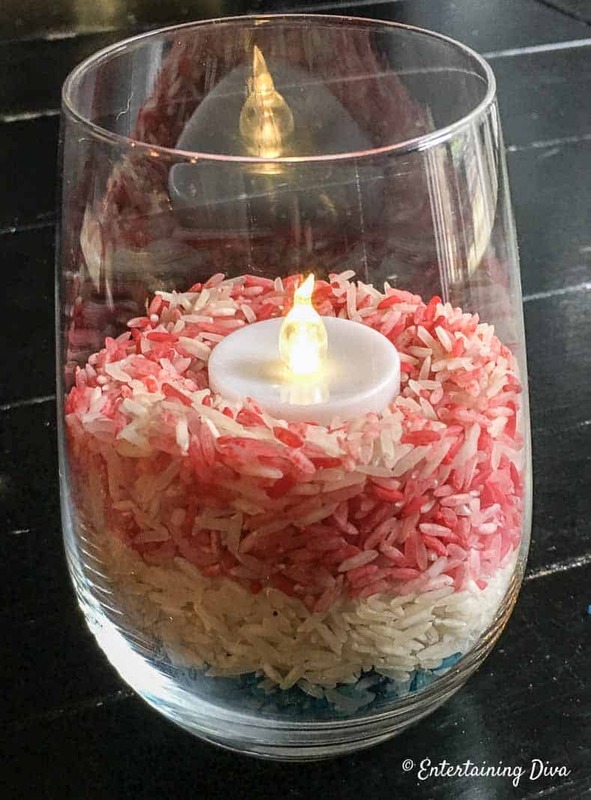 Since rice is flammable I used flameless candles rather than real ones. 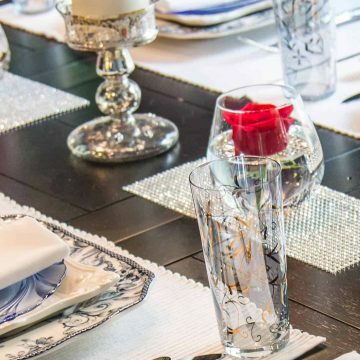 The candle holders look really pretty on a red tablecloth for 4th of July (or Memorial Day). 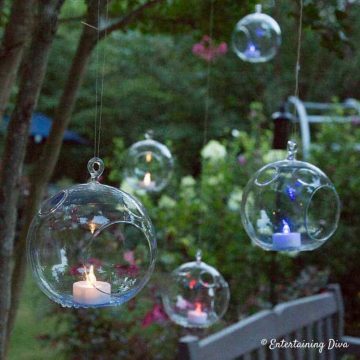 I have also used them on the railing around my deck as part of my outdoor 4th of July table setting. 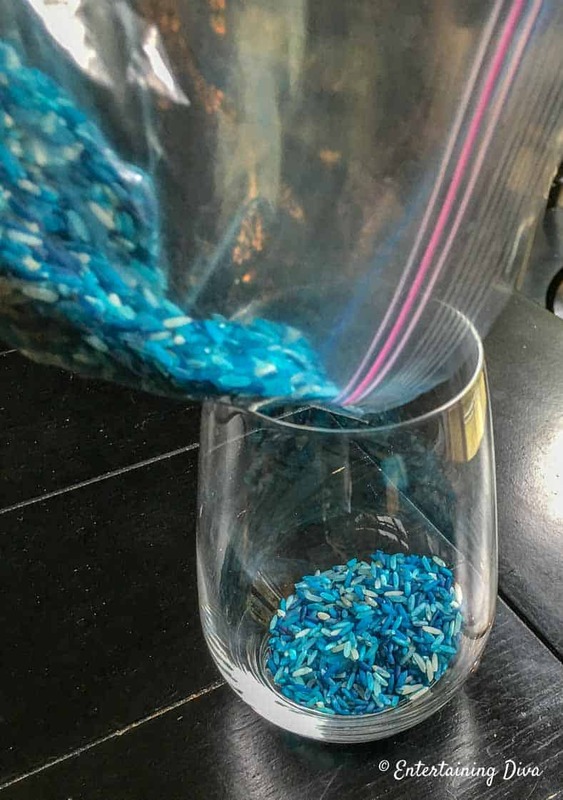 If you make a mistake or want to save the rice for future use, I found that the easiest way to get it out of the glass is to remove it in layers with a spoon. If you try to pour it, you will end up with a mixture of all of the colors together (learned from experience). 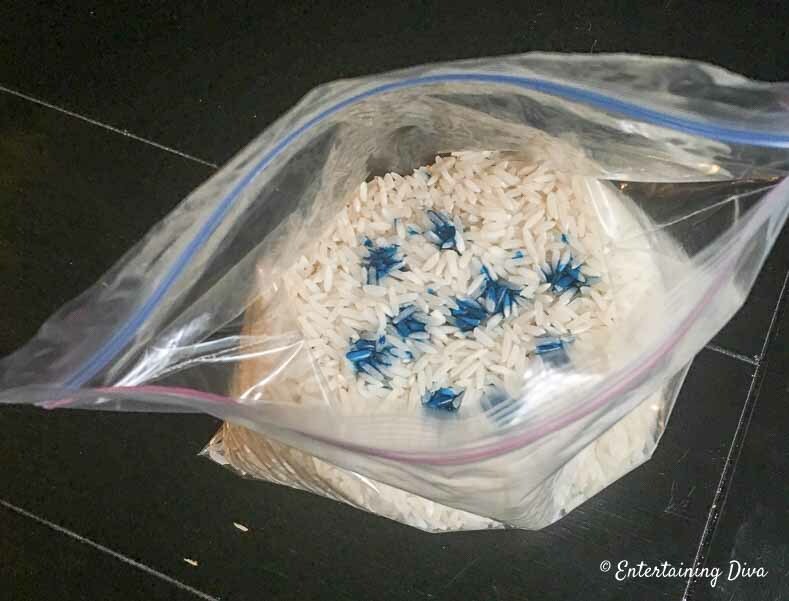 Using the spoon, I was able to get the rice out one color at a time. There were a few stragglers that got in the wrong pile, but those were easy to pick out. 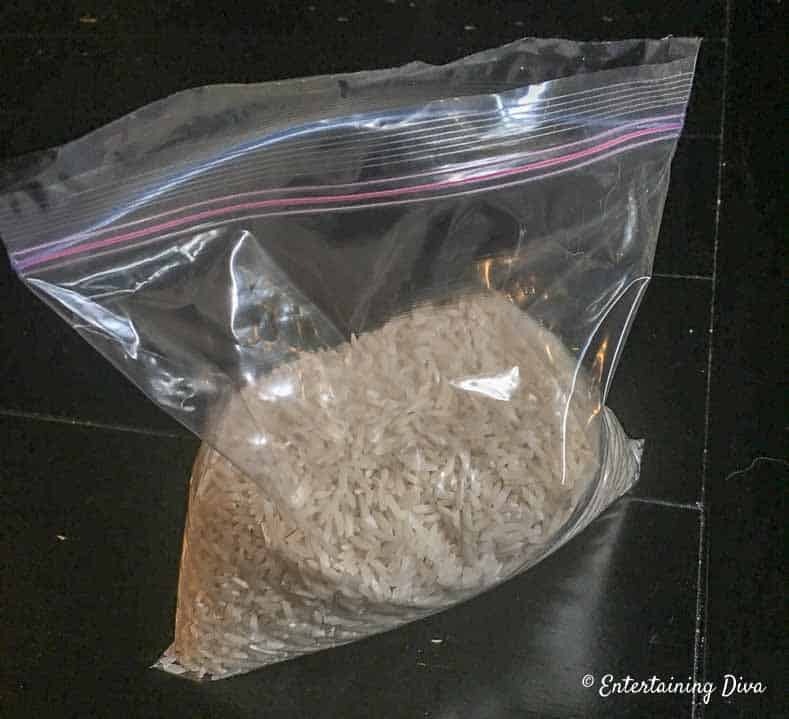 And saving the rice in the Ziploc bags works really well. 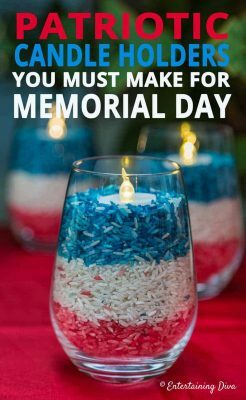 Have comments or questions on how to make easy DIY red, white and blue candle holders? 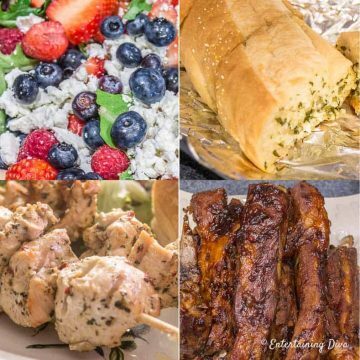 Tell us in the section below.